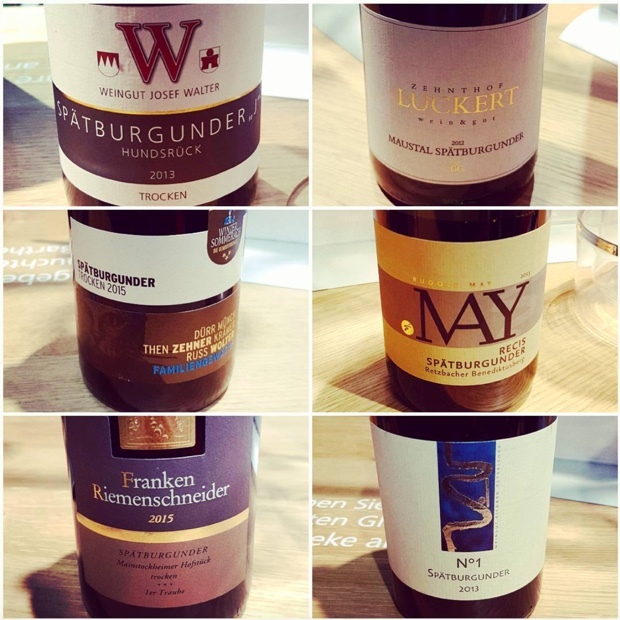 On day one I made a beeline for the Germany pavilion, epicentre to the ProWein universe. Gravity would naturally pull you to the Mosel and yet I was in search of an alternative experience. 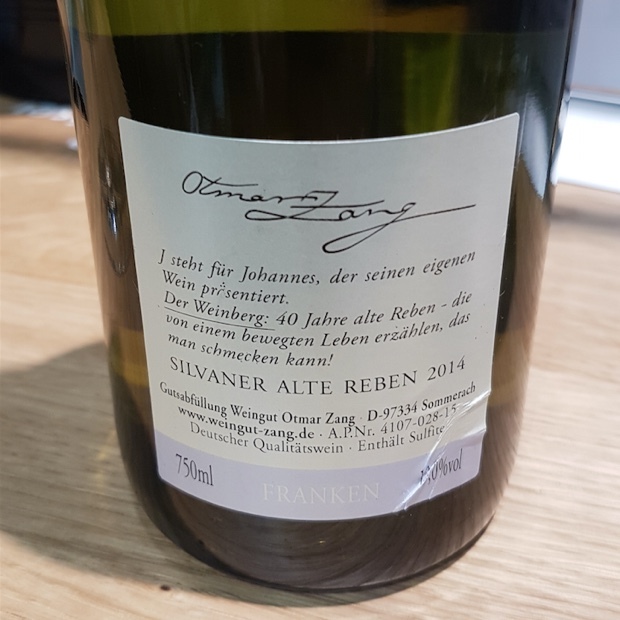 With travels to the Ahr Valley and the Rheinhessen looming I gravitated (naturally) to Franken and more specifically to an intensive workshop with silvaner and spätburgunder. The Bavarian wine region is located east of Frankfurt (and 65 km/40 miles east of the Rhine) on south-facing slopes lining the Main River and its tributaries. 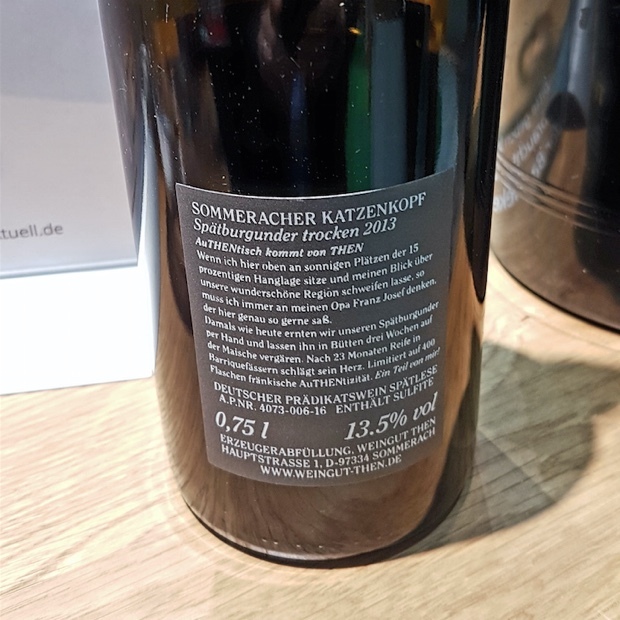 The centre of Franconia is the town of Würzburg, home of the famed vineyard Stein, which gave rise to the generic term Steinwein, formerly used to denote all of the region’s wines. 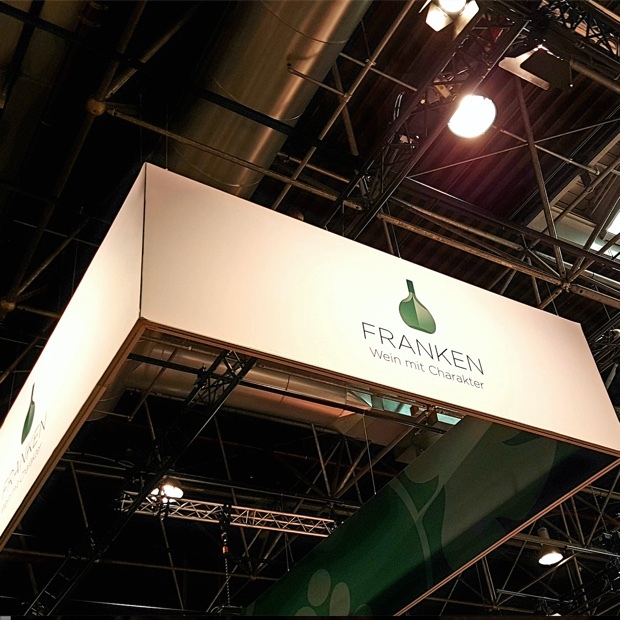 It would be an understatement to call Franken a cool-climate growing region. Even in a world gripped by climate change it can still be too cold for riesling. 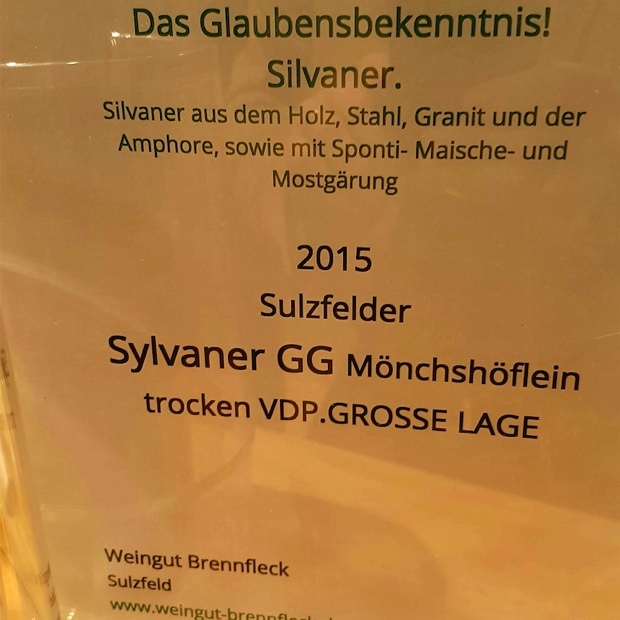 This is where silvaner thrives, in spite of cold winters, high annual rainfall and very cool autumn conditions. 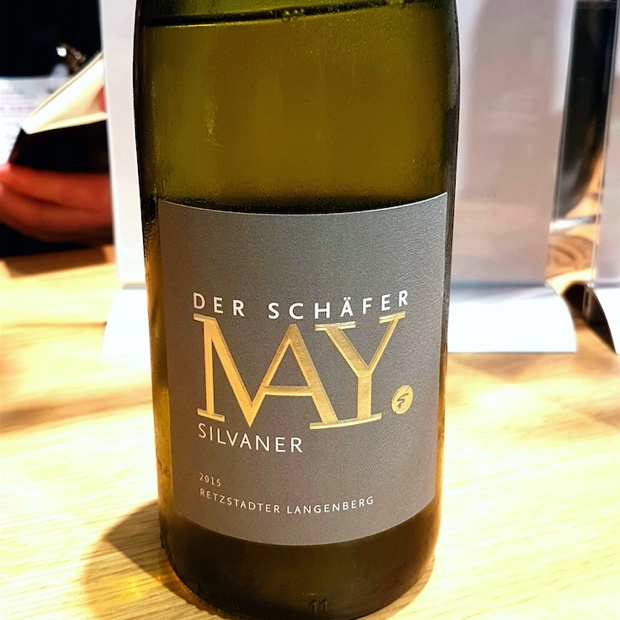 Müller-Thurgau is the most planted grade variety and silvaner is second. 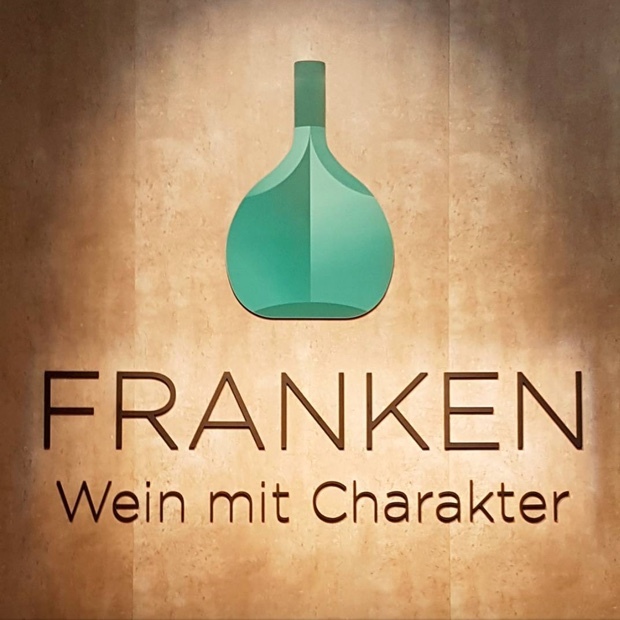 The most prized Franken wines were (and to some extent still are) traditionally bottled in a Bocksbeutel, a squat green or brown flagon with a round body. 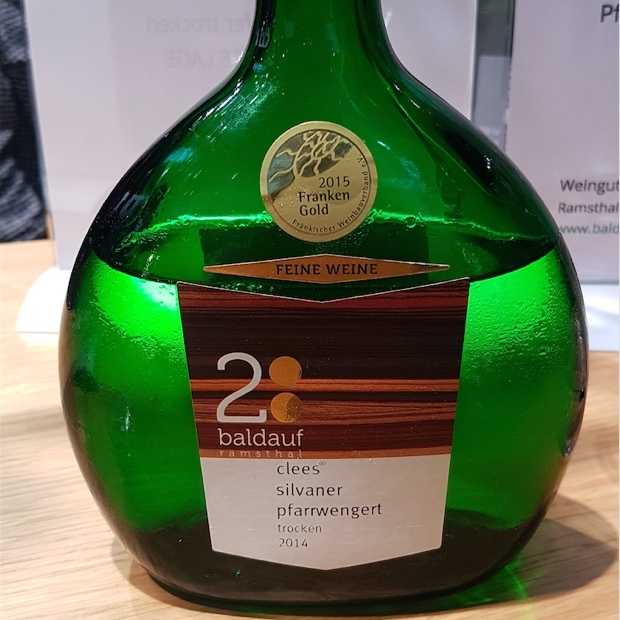 A loyalty to history contends that considerable recognition value is added to the region’s wines but the days of the old flattened ellipsoid, field bottle silvaner packaged in traditional Franconian Bocksbeutel are receding behind us. 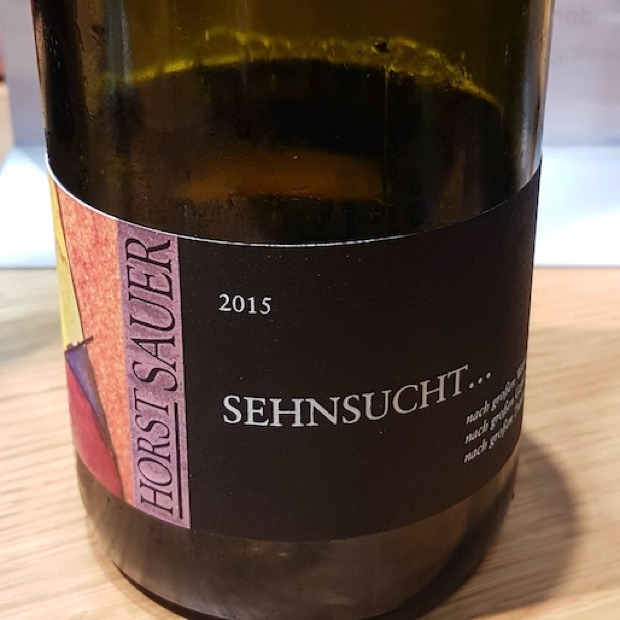 We are seeing a diurnal shift as they are increasingly replaced by modern, clean and pure examples that match up with the great mineral fresh whites around the planet. 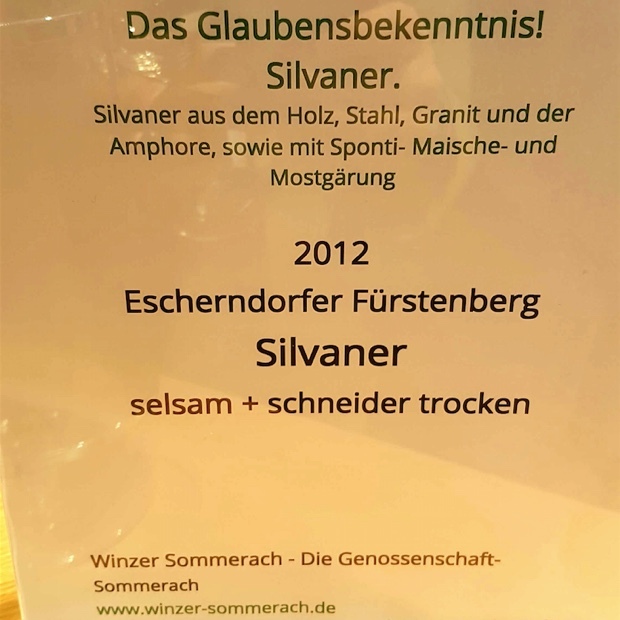 The silvaner slogan “Das Glaubensbekenntnis! 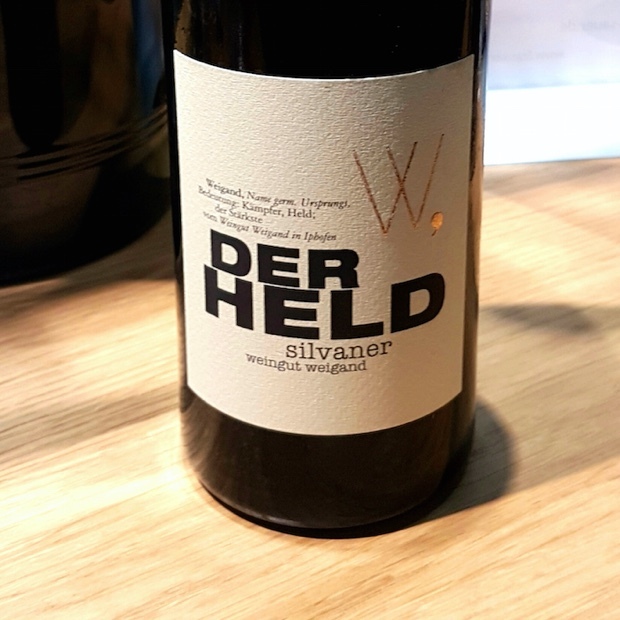 Silvaner” led me to discover the great white history and future of this most important Franken grape. 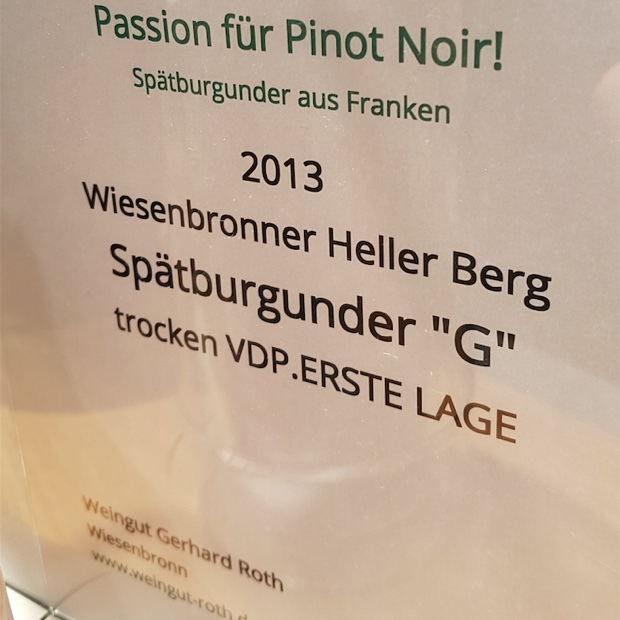 Passion für Pinot Noir! 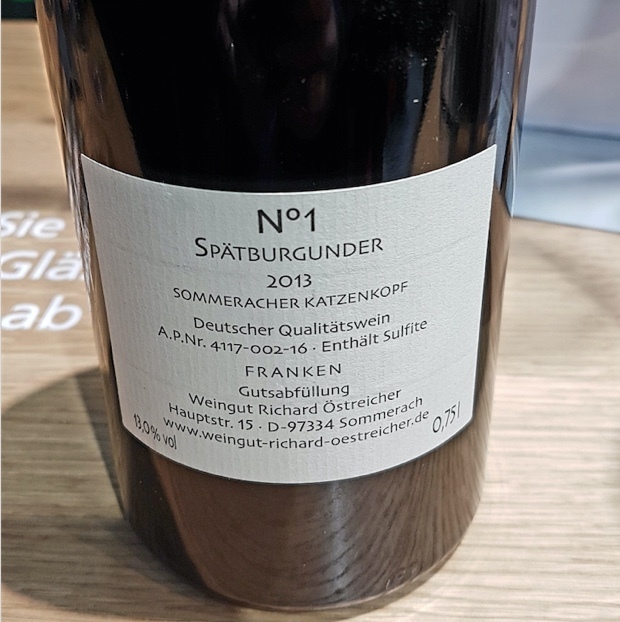 is the avant-garde Deutscher Qualitäswein Franken slogan for spätburgunder. 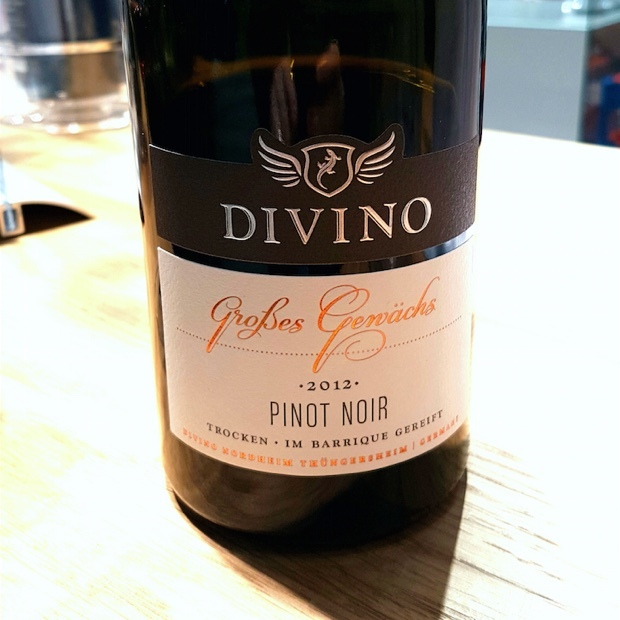 The idea behind pinot noir in Bavaria is just about as outsider a concept as making wine instead of beer or habituating Protestants in a world of Catholics, but micro-climates are a wondrous thing. 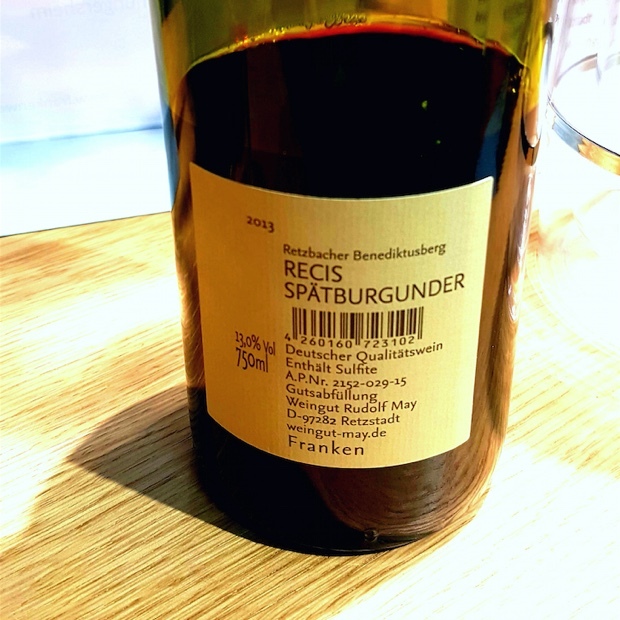 The avant-garde Franconia winemaking is one of the great overlooked stories in wine today and nowhere else is this evident than in the work being put in with pinot noir on the Franconian fringe of varietal possibility. 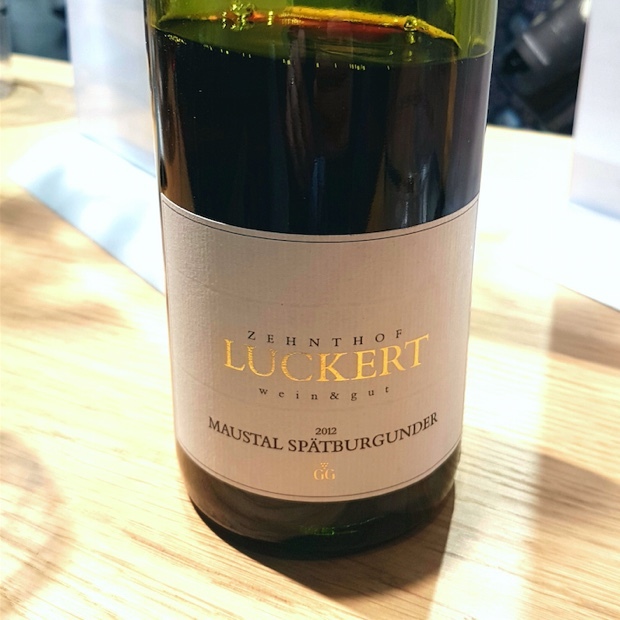 The producers have entered into an era of defining cru vineyards, like Sulzfelder Maustal with soil rich in shell limestone, Sommeracher’s Katzenkopf and Centgrafenberg, in Bürgstadt. 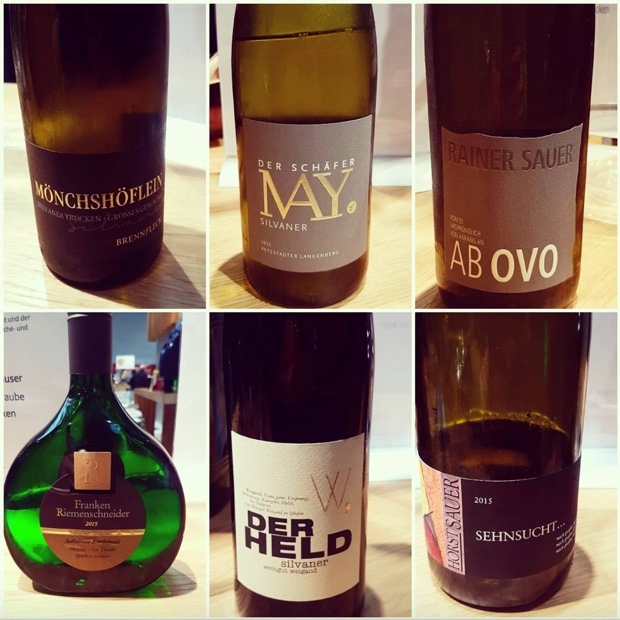 The styles on display at Prowein duly noted in a flight of 12 were varied, sometimes mimicking other German regions, California and Burgundy. 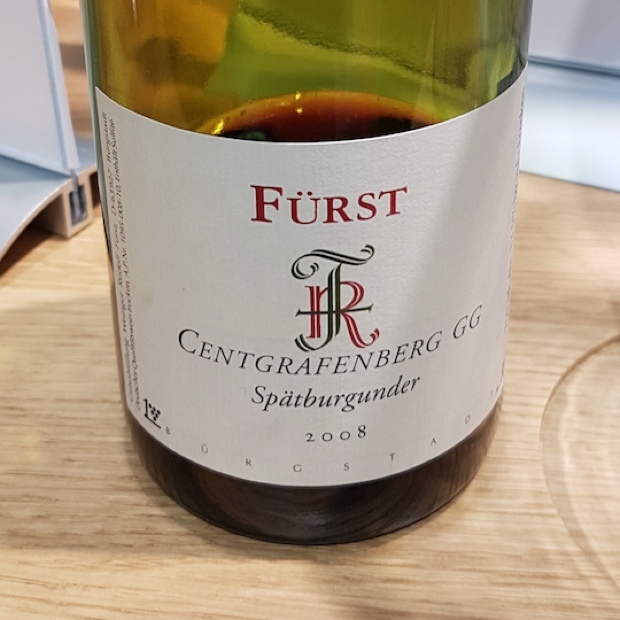 More often than not they are purely and expressly Franken, of dusty red cherry, mineral, bright energy, citrus and with oak working for bites and spice. A heed and a warning: Once you taste Franken pinot noir you may never go back. 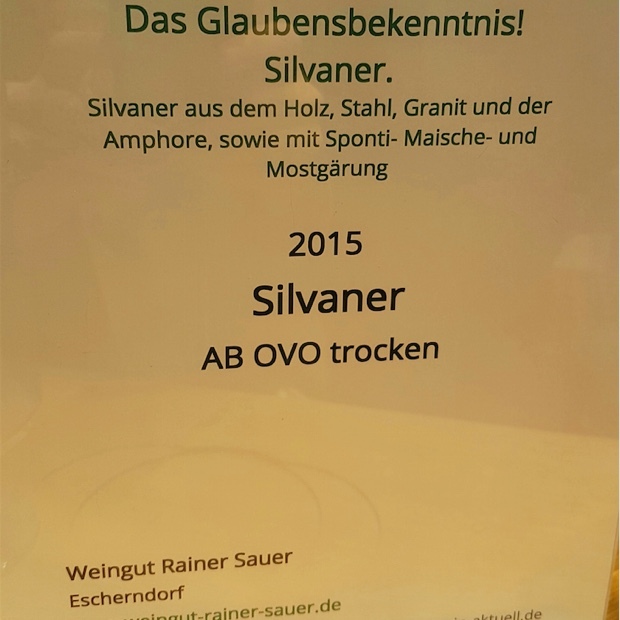 Records indicate the last Ontario VINTAGES German silvaner release was on May 10, 2014. The two before that were on July 6, 2013 and February 2, 2013 . You would have to look back almost another full calendar year, to May 12, 2012, for the one previous to that. 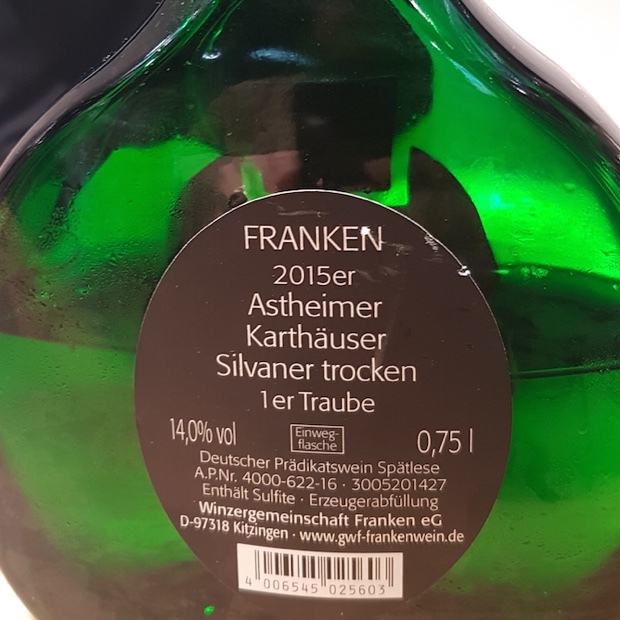 Since nothing has come through again, allowing so many years to pass without offering a single bottle of Franken silvaner to the Ontario wine consumer amounts to a crime against Frankenwein. 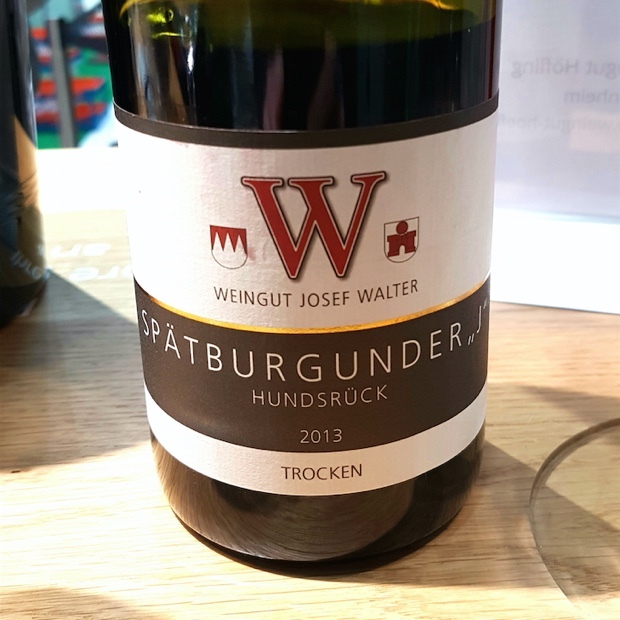 With respect to spätburgunder I can find no history of VINTAGES releases in Ontario. 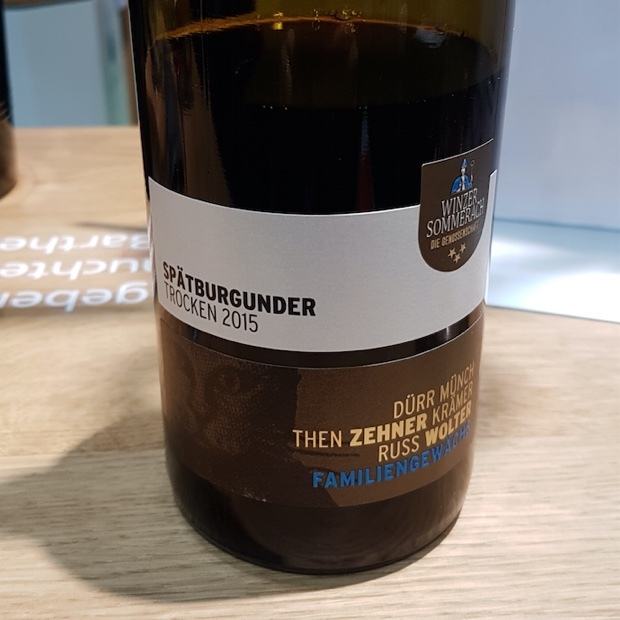 In fact there are currently only two German pinot noir available here at home, one from Pfalz and the other, Baden. Franken isn’t even on the radar. 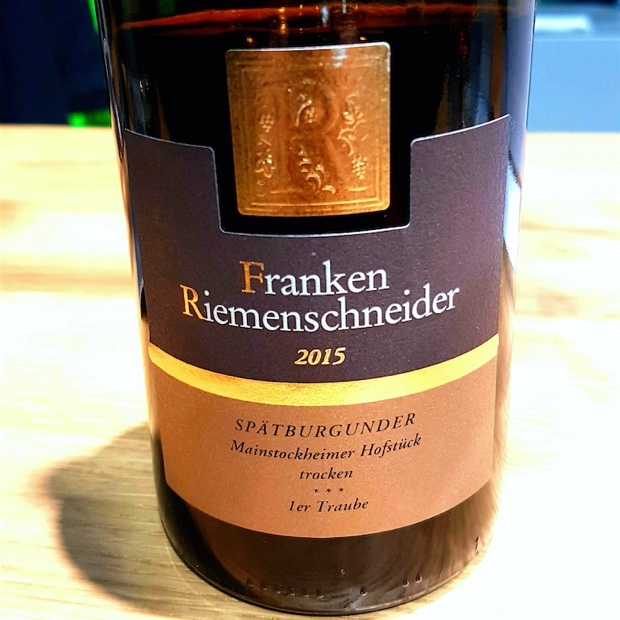 There are no Franken wines anywhere to be found. 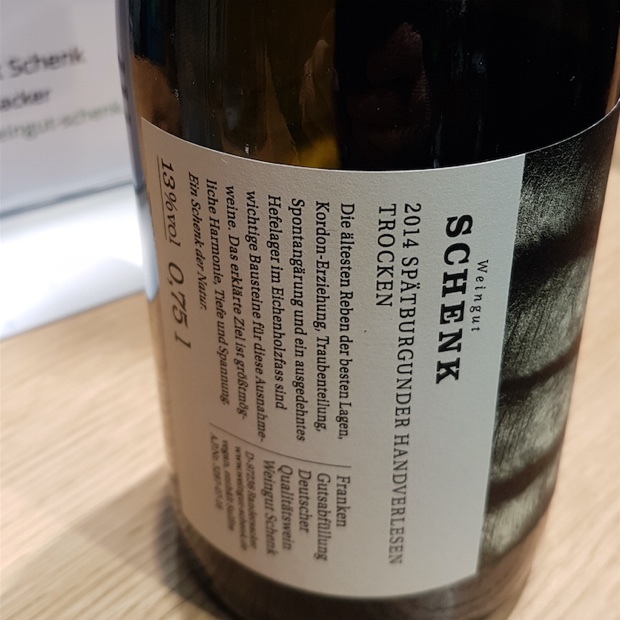 I was very impressed with the quality of both the silvaner and the spätburgunder in my two sit-downs at the Prowein Franken booth so hopefully I can shed some light on what everyone is missing. 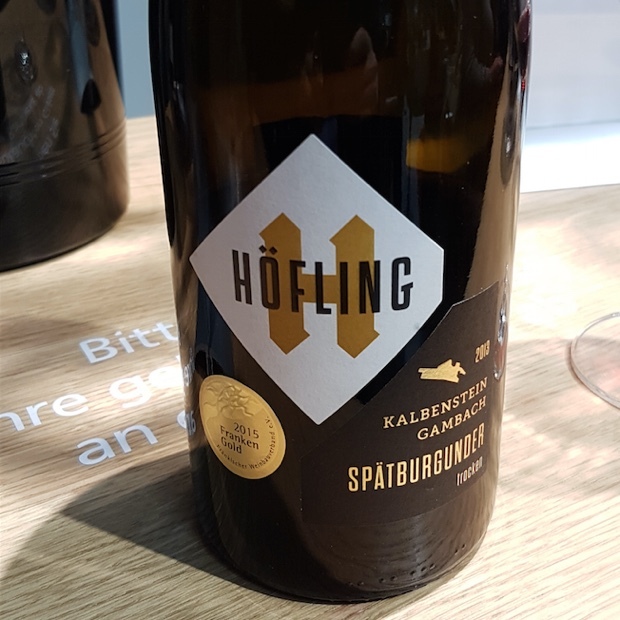 Once again it is important to recognize the people responsible for allowing me to take part in this German wine experience; Stefan Egge, Christiane Schorn, Brigitte Küppers, Michael Mandel and Carola Keller. 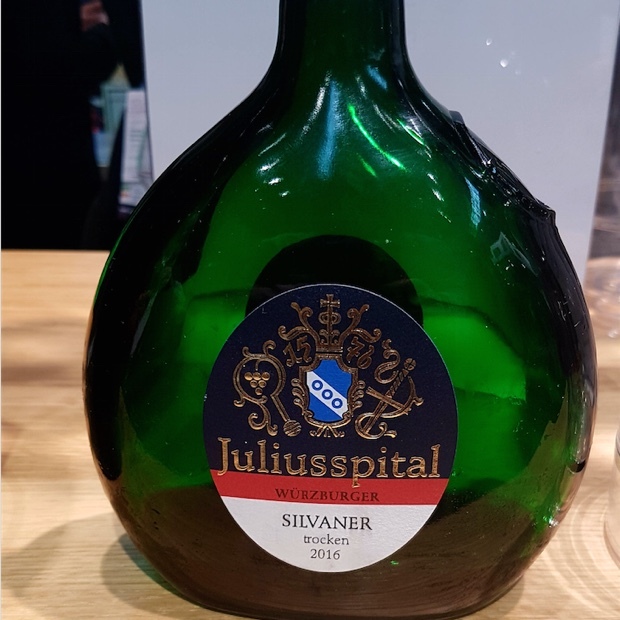 Until ProWein 2018, here are 22 notes on Franken silvaner and spätburgunder.